Have you ever wanted to look inside the crystals? Perhaps,there is special world is lying behind the edges of pink quartz or blue corundum or any crystal is the prism through which you could see inside something more. 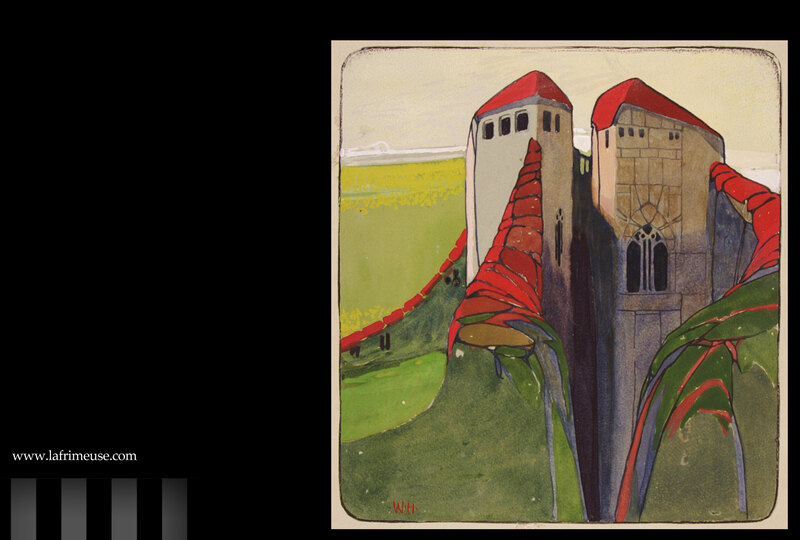 Wenzel Hublik is one of the representatives of German expressionism. He found the crystal in his childhood, and throughout his creative career often portrayed strange utopian worlds created under the impression of the seen pictures refracted in the facets of translucent geometry. Hablik (1881-1934) was born in Bohemia, now the territory of the Czech Republic. At the beginning of his art life, the artist painted porcelain, worked as a draftsman in an architectural bureau, studied the art of heraldry in Vienna and attended the Academy of Arts. In 1906 he made a solo climbing to Mont Blanc. 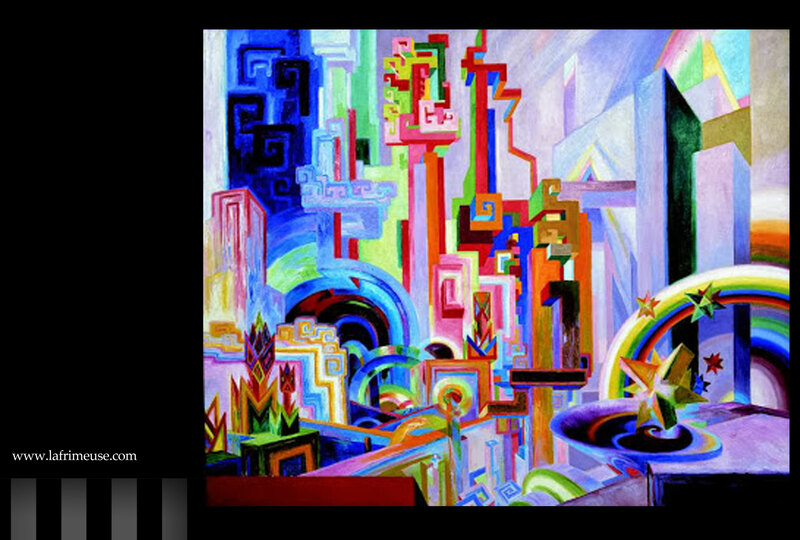 Perhaps all this accumulated experience was mixed later with German expressionism, under the influence that Hablik got after moving to Germany, all of this, was embodied in the work of the painter, dreamer, creator and visualizer of utopian fantasies. 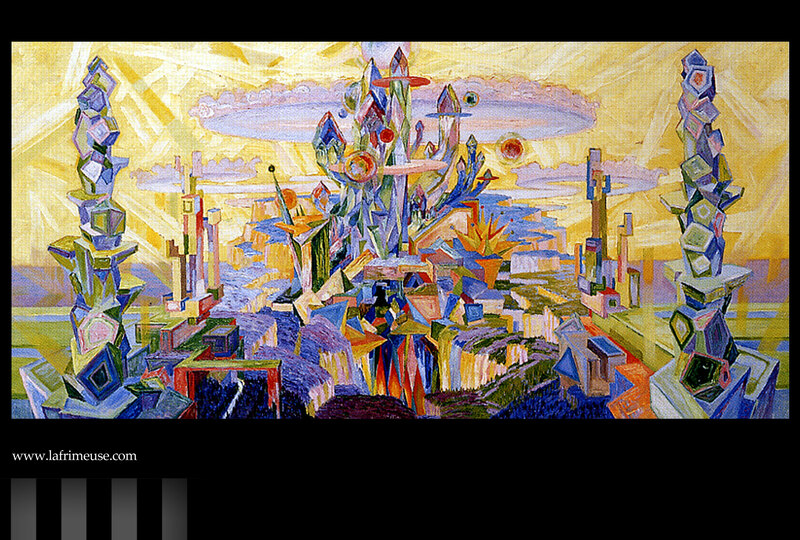 Between 1909 and 1913, Hablik created utopian visions of outer space, with fantastic planets and stars. 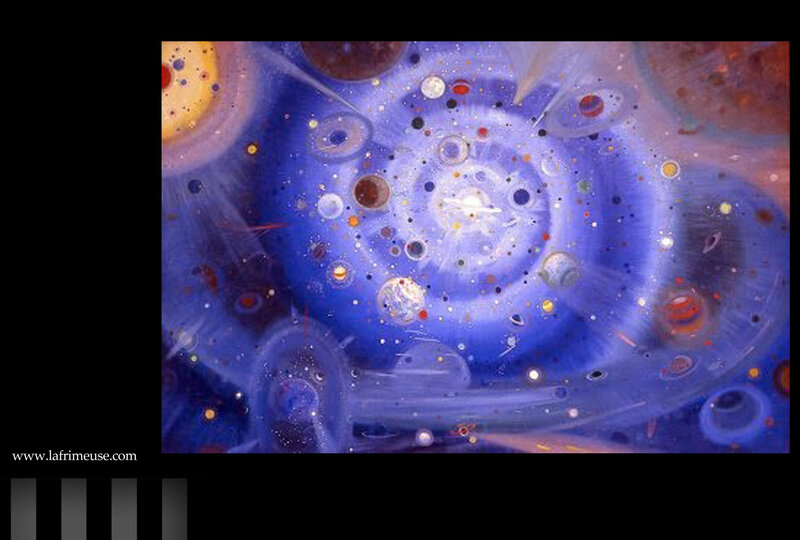 We can say that they were the first paintings of the cosmos of the 20th century. 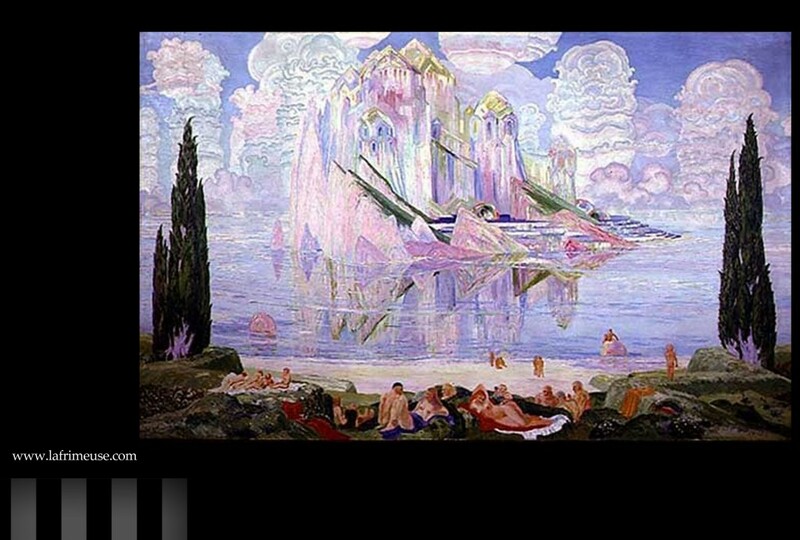 In 1914 and 1917, Hublik painted two large canvases depicting crystal castles standing at sea. Since 1912 Hablik had been in close contact with influential art expert Herwarth Walden , the founder of the expressionist magazine Der Sturm (The Storm). 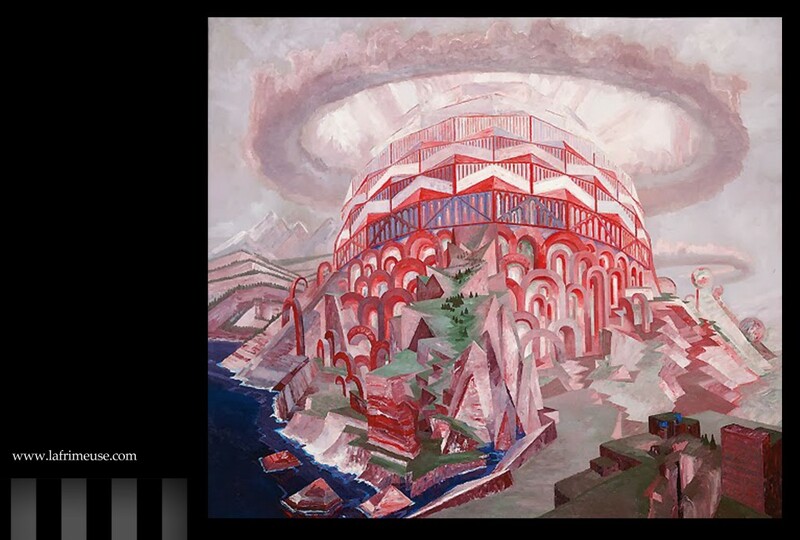 Walden introduced him to Umberto Boccioni, one of the rising stars of Italian futurism. 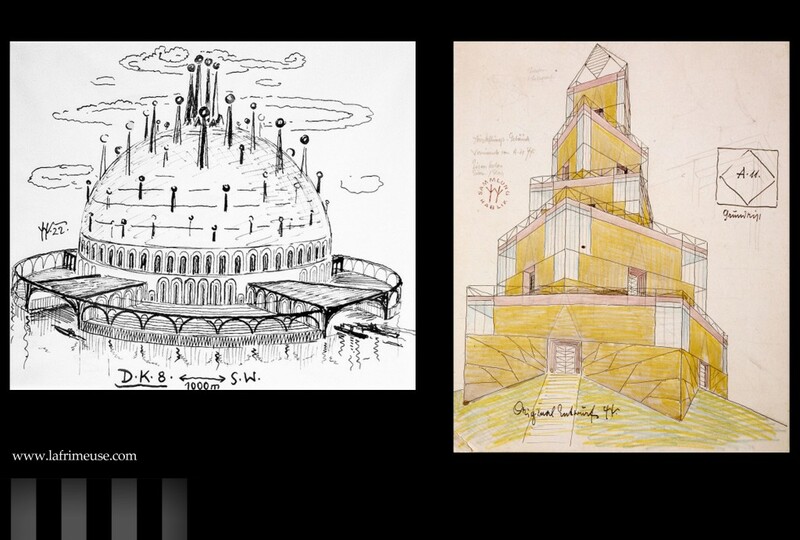 In 1919 Hablik, thanks to his experience in utopian architecture, was invited by the founder of the Bauhaus, Walter Gropius, to take part in the exhibition of Unknown Architects, organized by the revolutionary Arbeitsrat für Kunst (Workers’ Council of Art). 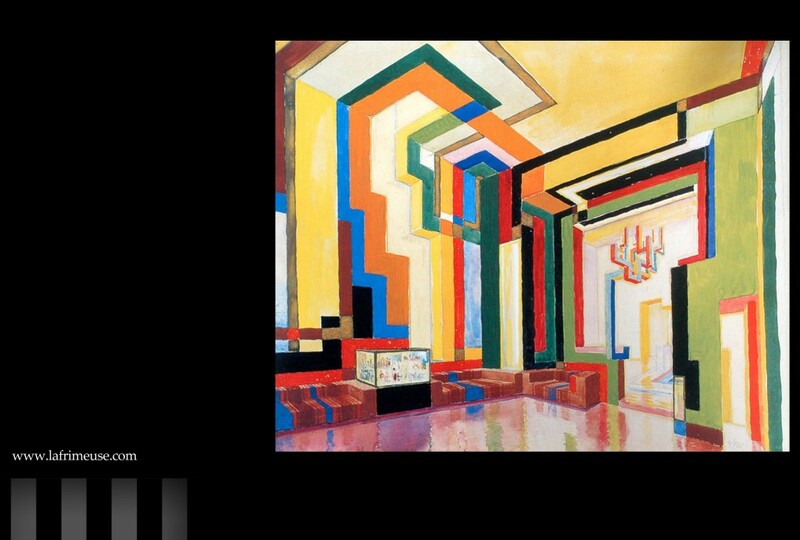 Arbeitsrat was a union of architects, painters, sculptors and art historians, who were based in Berlin from 1918 to 1921 and an important core of the Bauhaus. It was developed in response to the advice of workers and soldiers and was dedicated to highlighting the latest trends in architecture and the arts of a wider range of people. Since 1921, Hablik had concentrated on household drawings for textiles, furniture and silver cutlery, where he used the decor and his crystal fantasies. In 1927 Hablik designed constructivist interiors, furniture and fabrics for the Dutch group De Stijl. Its textile structures and tapestries from the twenties and early thirties, woven by Elizabeth Hublik-Lindemann, were considered one of the most modern and elegant. 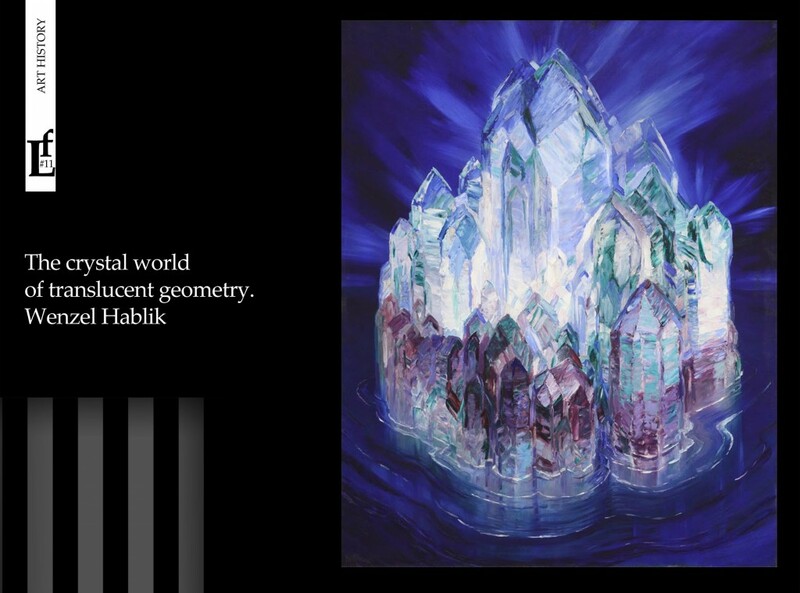 Hablik kept interest in crystals and geological forms in general in his life. His visual art is distinguished by its very imaginative and bizarre aspects; he created images of temples, flying cities in the crystal worlds. At present, about 250 Hablik’s paintings are known. The artist died in Itzehoe in 1934. In 1995 the Museum of Wenzel Hublik was founded in the city. The museum contains most of its art, as well as its extensive collection of crystals and minerals, shells and snails. From September 2 to January 14 the Berlin Museum Martin-Gropius-Bau is held its retrospective exhibition. 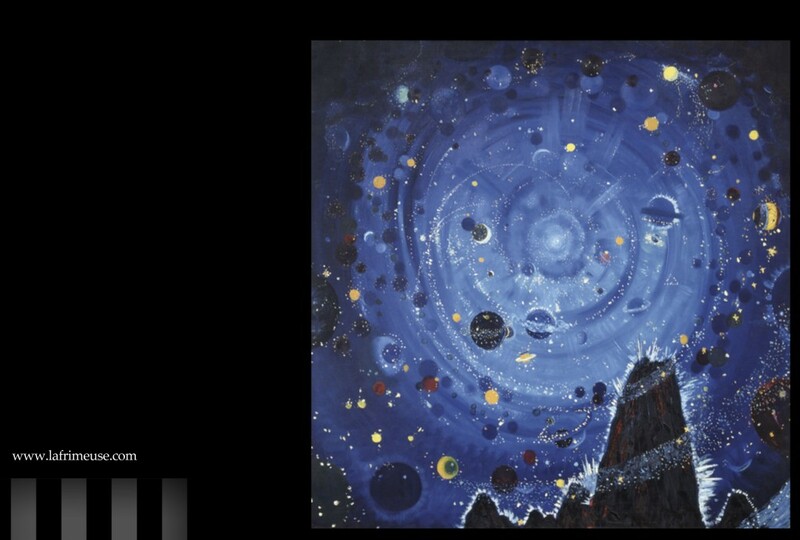 Wenzel Hablik, Starry sky. The huge picture (2×3 m) throughout the artist’s entire life hung in his bedroom.